The answer appears to be, not any time soon. 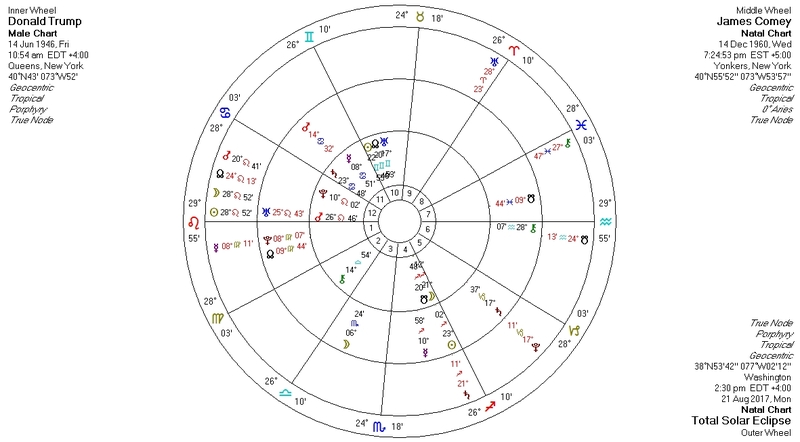 On Tuesday May 9, the day before a full moon at 20 Scorpio, Trump fired FBI director James Comey (the second time it has happened in the USA’s history). the transiting lunar nodes switched from the Virgo/Pisces axis to Leo (North Node) and Aquarius (South Node), thereby triggering the Total Solar Eclipse of August 21, 2017, (28:52 Leo).